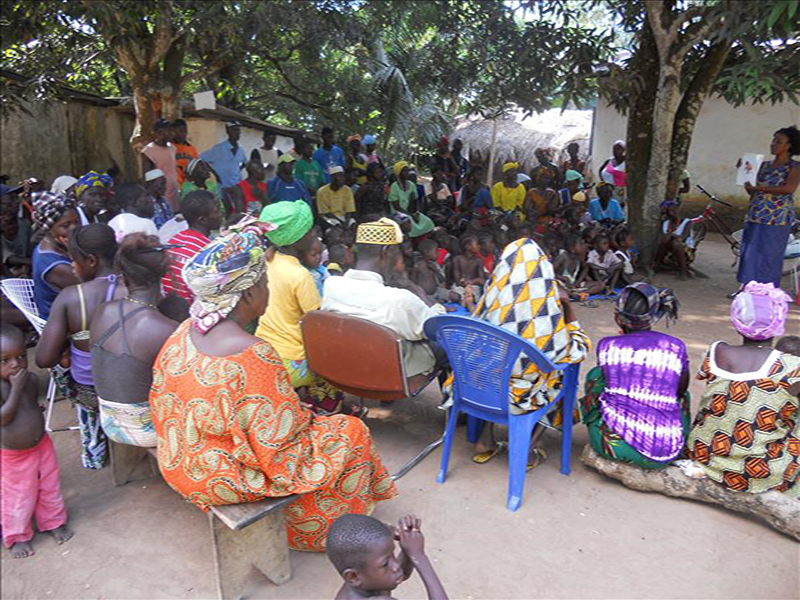 HomeNews in PerspectiveWhere is the money meant for providing clean water in Sierra Leone? October 3, 2013 Abdul Rashid Thomas News in Perspective Comments Off on Where is the money meant for providing clean water in Sierra Leone? “Where is the money that is supposed to give us clean water gone to?” – asked the people of Lungi, after several years of living without clean, safe drinking water. Since my return to London from Freetown, I have posted many revealing pictures and videos on Face book that are meant to expose the lies ‘perpetuated’ by our government concerning development strides in Sierra Leone. In one of the videos you could see SALWACO selling water to Lungi’s poor. Some fans of the government whom I considered unpatriotic, commented that paying a thousand Leones for a ‘Bata’ of water is not at all bad, it is reasonable. It is wrong to compare the cost of your water bill in the USA to what people are ‘paying’ in Lungi for a ‘bata’ of water. One thing we should realise is that more than 60% of people in Lungi are unemployed or have no source of income. Paying one thousand Leones for a ‘bata’ of water is a big blow dealt to the money they should be spending on food. In the past, the Government made many promises to provide portable water for the Lungi people. Projects have been commissioned to provide Lungi with water. Why is SALWACO now selling water to the people of Lungi, when they should be enjoying clean water without queuing for it? 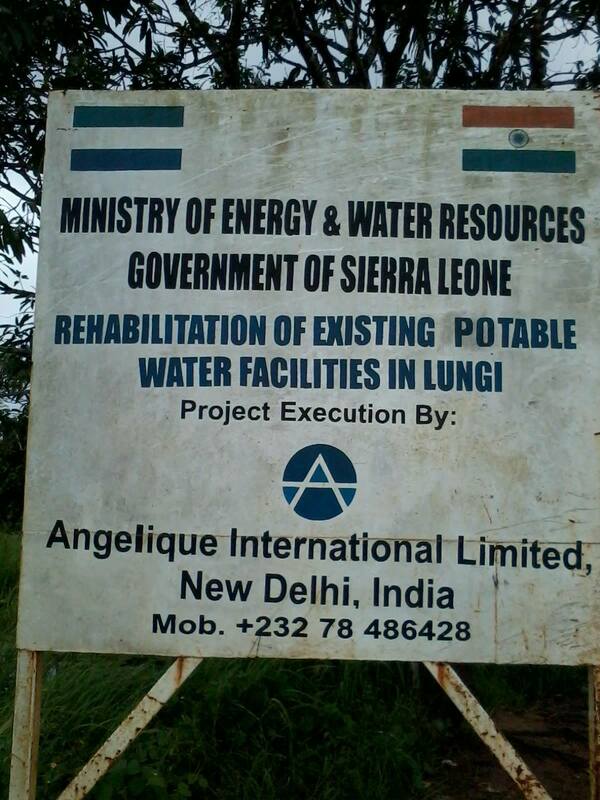 I went to the site where Angelic International Limited should be working to improve the water supply in Lungi. To my utter surprise, there was no work going on. All I saw was the project signboard. April this year, the Station Manager of the Sierra Leone Water Company (SALWACO) in Lungi, Lansana Sawie, accused the Angelic Contracting Firm, Circular Road, Freetown of mismanaging $69 Million, meant for the implementation of water projects across the country. So where has the money that should improve water supply in Lungi gone? The question now is: is the water that the bowzers carry meant for sale? The people of Lungi are definitely waiting for an appropriate answer from the government. Why is Lungi still without clean water? 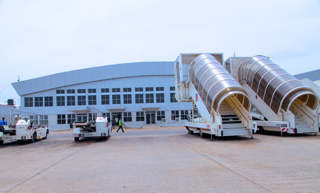 Where has the money – meant to provide the city that has the international airport with water gone? Why is SALWACO selling water to the Lungi people, despite the fact that a lot of money has been spent to provide them with water? Moreover, the people of Sierra Leone need to know the companies that were suppose to implement these projects, as we have two companies implementing almost the same project. The people of Lungi are tired of the lies that have been told by the government on improving their socio-economic lives. They believed the lies told by the President during last year’s elections and voted overwhelmingly for his return to office. Now back in Power, the government has left them to rot in their social and economic predicaments. How long are these lies going to continue? How long are the people of Sierra Leone going to bear this economic hardship? Time will tell, Mr President.